Last week, I delivered the introductory lecture for a second year undergraduate module, ‘Doing History’, and for various tedious reasons, I also recently spent some time reading, reflecting on and writing about why I consider history to be valuable. In the process, I conducted an entirely unscientific google trawl, trying to gauge what the general perception of the discipline was. I was struck by the fact that the popular or ‘commonsense’ perception of history encourages a rather limited assessment of its social and intellectual usefulness. What exactly do I mean? 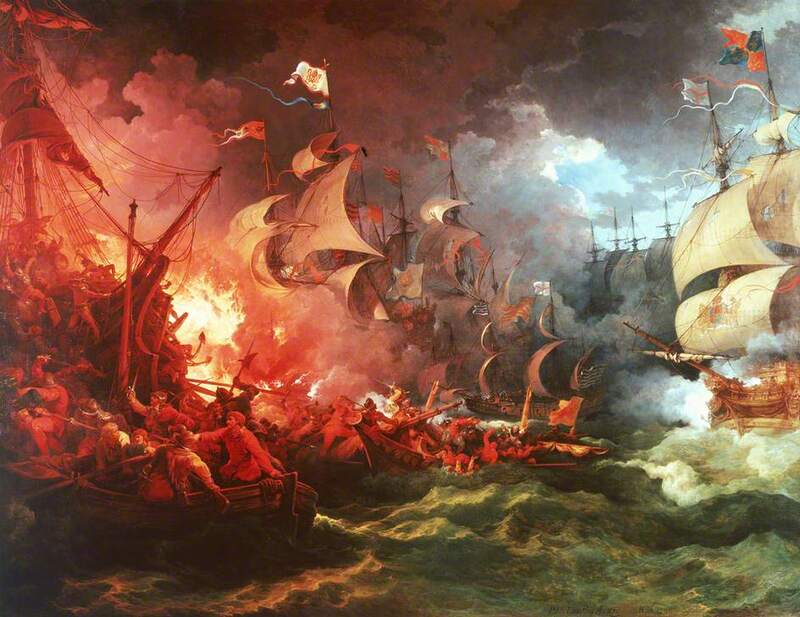 Drake’s defeat of the Armada – a rollicking yarn! Perception: The past provides a seemingly endless supply of rollicking good yarns, from Henry VIII’s tortuous relationship status to Sir Francis Drake’s swashbuckling Caribbean adventures. These are easily converted into good reads. That’s nice, but it doesn’t make history particularly valuable. Anyway, the best stories are made up ones. Perception: history provides us with ‘lessons’, and if we learn our lessons well we can avoid the mistakes of the past. Or as George Santayana may have said: ‘those who do not remember the past are condemned to repeat it’. This one just isn’t true. Since historical events are the result of a complex stew of choice, chance and human agency, the past does not repeat itself (for example, see: the course of human history). This makes cross-chronological historical comparisons rather frustrating and futile. Is the English pub part of our history? Maybe – but this one is German. Perception: history can tell us ‘where we came from’, and allows us to understand what’s going on in the world today. Undoubtedly there is more truth in this idea, but it is also problematic. Viewing the past purely in terms of present priorities greatly distorts one’s perspective – are we meant to merely ignore the losers, the dead-ends, the silences and the obsolete in the past, since we cannot see their value to the present? And does this mean that modern and national history is much more important than European, international, or pre-modern versions, since the influence of these on the present appears to be greater? The problem with these general understandings of history is that they are all based on a perception of history as ‘knowledge’ – a collection of facts or narratives about ‘things that happened’ in the past. This is the type of history that is generally taught in schools, hence these popular perceptions, yet it significantly limits the perceived worth of the discipline. A more accurate understanding of what history is considerably expands its utility. Historical training certainly provides a student with knowledge about (some of) the past, but it also instils in the student patterns of thought and action, some of which are unique to the discipline. For the reality is that history is not the neutral recitation of facts about the past, it is the study, and explanation of events or phenomena. History is not merely about content (facts), it is also a particular and systematic methodology, a distinctive way of reading, thinking, questioning and analysing. 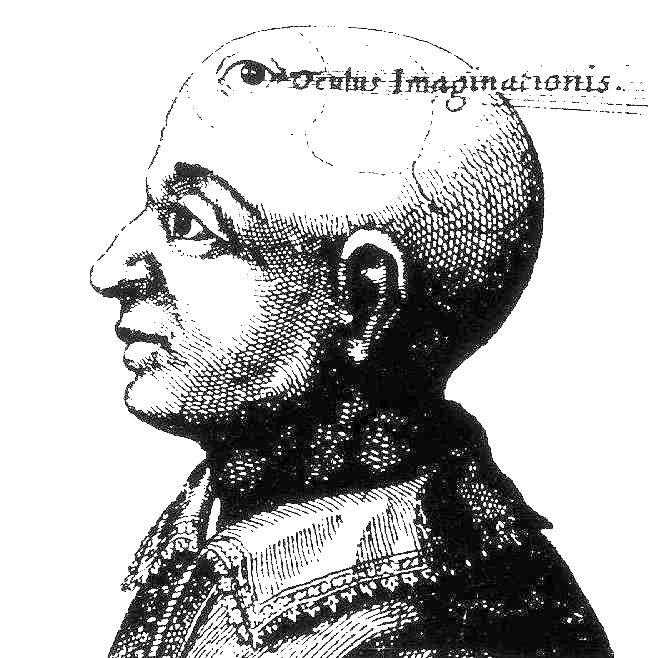 Sam Wineberg described historical thinking as an ‘unnatural act’, going against the grain of our usual thought processes. As a result, doing history/thinking historically is an intrinsically valuable thing, of value outside of the academy. Below is my summary of the most important features of the discipline, that in my eyes indicate its distinct value – do you agree? Good historians draw conclusions based on evidence. They reference this evidence clearly in their writing, in order to support their claims (usually by means of footnotes or endnotes, and bibliography). This is not simply because academics must adhere to the conventions of their profession. It is the breadcrumb trail that allows others to check the evidence to confirm what the historian has said, or in order to disagree with the interpretation that has been offered. The footnote is intimately tied to the development of professional history, so much so that a history has been written about it. If it were not for the footnote, then the work of holocaust deniers such as David Irving would be just as credible as those who offer alternative interpretations – it would be impossible judge the value of any history. Most people these days think this sort of scientific rigour is a good thing. Facts are just a starting point, and they are not as easy to find as you might think. A historian reading a text will not treat it as a passive receptacle transferring information from the author to the reader. They will ask a series of questions about authorship, genre, audience and so on, and they will cross reference the text with other material in order to try to fully understand the significance of its content. Imagine if everyone approached their daily newspaper or Prime Minister’s Questions in the same way: might this improve the quality of political debate? A historian seeks not only to describe, but also to understand and explain. She is trained to recognise that there are no simple explanations for events, only the stew of chance, choice and human agency that I referred to previously. If the past is a social laboratory, a storehouse of information about how people and societies behave, the ‘lessons’ that it teaches us are that causes take many forms, work at different speeds, and interact with each other. Studying the past encourages us to recognise and account for complexity in our own world, and provides a technicolour understanding of society, rather than a monochrome one. It prompts the student to think around a problem, to identify competing interpretations, and to form their own opinions based on critical engagement with evidence. This mowing devil creates an evil subversion of the English lawn. History teaches the student of the ‘otherness’ of the past and the danger of assuming that there is something ‘essential’ about human experience. This idea is captured in L.P. Hartley’s famous soundbite: ‘the past is a foreign country, they do things differently there’. The past may look a little like our world, but it is infinitely distant to our own. The ‘mentality’ of those in the past is distinct from ours, and therefore we must avoid anachronistically projecting modern understandings onto it: the past must be ‘taken on its own terms’. For example, take supernatural belief. 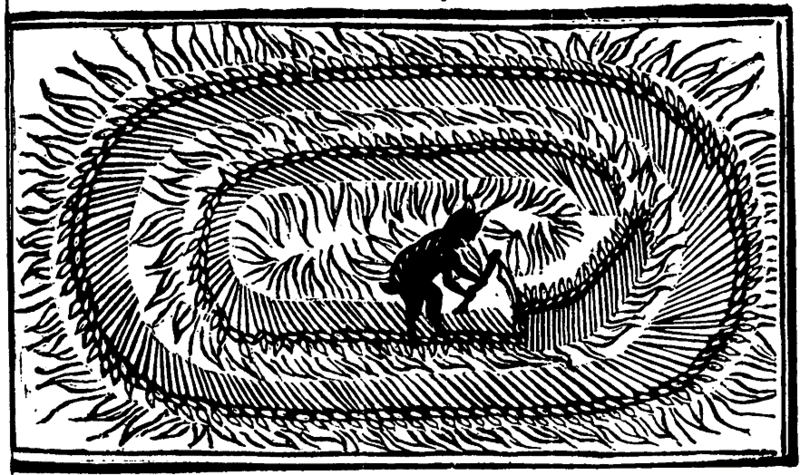 In the early modern period, almost everyone believed in the reality of an invisible world, and that supernatural agents (angels and demons) could interfere in daily life on earth. It is tempting to snigger at such ‘credulity’ now, thinking how ‘superstitious’ and ‘backward’ these strange ideas were. In doing so we apply contemporary standards to a past age. But such a judgement is rather pointless since from it we learn nothing, and besides, the historian’s job is to suspend judgement in favour of understanding – another unnatural act. Thus a proper historian would take such belief seriously, seeking to understand those ideas within their cultural framework, and to explore why people believed such things, and what this can tell us about this ‘foreign’ society. Difference therefore alerts us to divergent world views. Focusing on those things that seem strange or bizarre to us might provide a deeper understanding of the mental frameworks (structures) of other societies. Recognising that cultural and moral standards are relative is another key insight that should be part of the good citizen’s toolkit. Long term causes interact with, perhaps encourage, perhaps retard, short term events. Change, or ‘progress’ is not inevitable and therefore also needs explaining. Equally, persistence is not ‘normal’ and we must also seek to account for it where it is found. To deal with the past effectively it is important to be able to recognise that historical myths or ‘popular’ ways of thinking taint the way we view and think about things. Most people conceive of history as a line or arrow, pointing in the future, without appreciating that this produces teleological, linear histories. Yet now historians might argue that history is more like a tree, a ladder, a spiral or even a braid. Although it is unnatural to us, we must resist the impulse to see historical development as ‘normal’, and instead we must deconstruct it in order to make it explicable. The good historian knows the notion that we are all ‘moving forward’ is a social construction, not a natural thing, and that our own mental conceptions also have a history. [It also accounts for my particular hatred for this nasty piece of management jargon]. History is representative of our whole culture, it is one of the things that sets us apart from other animals. We are aware of our place ‘in time’, and we remember individual and collective pasts as a matter of course. That is a natural act. Those who are cut off from their own past and memories by a condition of the brain are often regarded by society as lacking identity, unable to function as ‘normal’ people. In sum, the discipline of history develops qualities of perception and judgement that encourage active, reflective, and reasonable engagement with other humans. It turns out it is a very precious thing indeed. Sam Wineburg, Historical Thinking and Other Unnatural Acts: Charting the future of teaching the past (Philadelphia, 2001). 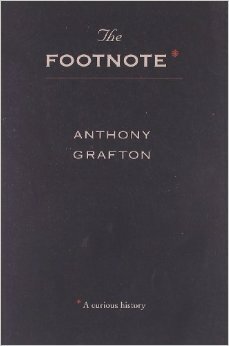 Anthony Grafton, The Footnote: A curious history (Harvard, 1999). For a thorough decimation of holocaust denial based on primary evidence, see Deborah Lipstadt, Denying the Holocaust: The Growing Assault on Truth and Memory (London, 1993). L.P Hartley, The Go-Between (1st ed. 1953). For further discussion of the way that history is envisaged, see Penelope J. Corfield, Time and the Shape of History (London, 2007); and Eviatar Zerubavel, Time Maps: Collective Memory and the Social Shape of the Past (London, 2003). The good historian would recognise that the identity of the author and the intended audience for this post makes any other conclusion highly unlikely – though this fact alone does not negate the validity of the conclusion. This entry was posted in Academia, History, Theory and methods and tagged the craft by drsang. Bookmark the permalink. It is striking just how pervasive the notion of ‘lessons from history’ is. I’m not sure I agree that it is ‘futile’, but it is certainly damned difficult to learn anything useful from historical analogies. Most speakers [i.e. the historians] insisted on numerous caveats and nuances and seemed to thoroughly disapprove of anything resembling an actual ‘lesson’. Indeed, they seem to love debunking any vaguely popular narrative (eg that World War Two had positive impacts on nutrition and inequality). That might explain the sense of being marginal that led to the setting up of History and Policy in the first place – nothing like saying ‘there are no general lessons, everything is context and time-specific, and only historians can talk with authority about anything in the past’ for ending up in a disciplinary ghetto. No easy answers here, but there is definitely a gap between what historians and non-historians think history is for. Thanks Brodie – that’s really interesting to hear that my vague impressions are backed up by your experience with admissions. On the extract – how uncomfortable! (1) because I do think nuance is better than generalisation, plus I think we should debunk ‘popular’/ existing narratives if the evidence points in another direction (what I immediately want to know is where the nutrition and equality myths came from, why it made sense for people to believe in them, plus why someone now would object to their ‘debunking’…?) (2) It’s worrying to think that the popular narrative about historians is that they are in a ‘displinary ghetto’ (even those at a public facing event). Clearly we need to do a lot more to encourage others to share our perception of our own discpline. Hi Brodie and Laura. Excellent thoughts in the post! I agree with Brodie that the more specific a historical analogy is, the more likely and visible its flaws, but I think there is some validity to the idea of learning lessons from history even if we can’t always articulate exactly what that lesson is. I guess it depends on how you define lessons. Do you think history can be used for ethical instruction? Is learning about structures, class, etc., learning a lesson or must it be more specific? Jonathan Clark (you probably have a few differences of opinion!) has a good section about the function of history in his book ‘Our Shadowed Present’, which I’ve found pretty useful as a way to think through some of these ideas. Thanks very much for your thoughtful response David – there is so much to think about here! I do think history and ethics can be closely related, since studying the past inevitably exposes you multiple understandings of what are right and what are wrong actions – it invites you to consider how and why people take decisions with moral implications. Thus, you could define a ‘lesson’ not as a specific rule about how societies work, but rather as a deeper understanding of human motivation – I was certainly thinking in terms of the former (don’t invade Russia in the winter) when I was writing my post, rather than the latter. For example, some of the most exciting discussions with my third year undergraduates this year related to the concept of ‘toleration’, particularly relating to religious belief. In pinpointing that ‘toleration’ contained within it the idea of ‘discrimination’, and in tracing the ways in which the boundaries of toleration continually fluctuated through the 1640s-1710s, we gained a much deeper understanding of why people discriminated against their fellows on the basis of religious beliefs, and why they thought that this was the right thing to do. We then thought about toleration in the twenty-first century, how and why it was justified. We looked at literature from the Conservative and Labour parties as well as UKIP on immigration and multiculturalism, and finished up, inevitably, by considering the ethics that underpinned their policies. Now obviously we were comparing apples with oranges in this exercise, but the fact remains that the seventeenth century, and the historical literature about toleration, gave us the tools with which we could interrogate modern discrimination and to consider its ethical standing. A rather long winded way of saying – there was no specific ‘lesson’ here, but rather studying the past gave us sensitivity to a similar moral dilemma in the present. We didn’t all agree at the end, but we could all recognise the salient elements and have a coherent conversation about them. I haven’t read ‘Our Shadowed Present’ but looking at a couple of reviews it certainly looks very thought provoking – I shall look out for it, thanks for the recommendation. Brilliant post! I agree that studying history is fundamentally about learning how to learn; but I think one of the advantages of our subject is that it is learning how to learn about people. History might not offer direct lessons to the present, but if we learn how to understand past societies then it might help us to look at our own (which it basically what you said, Laura). I think the only real ‘lesson’ in history (in the sense of lessons-to-apply) is that things change. This might seem a ridiculously obvious point but I have often been told, when discussing some aspect of the present, that ‘this is just the way things are’, with the implication that they always have been this way. Studying history shows that this is usually untrue; it’s hard to think of many things that have remained entirely the same. If historians are often myth-debunking spoilsports (and I think that is one of our important roles!) then perhaps ‘change is possible’ is a more positive argument we can make. Although, of course, the full statement would be ‘change is possible but not inevitable, results from many complex factors and rarely turns our the way you intend…’. Thanks Richard – yes I entirely agree with everything you say here and there are echoes of Brodie’s point above too. And I am increasingly drawn to thinking about the myths themselves – unpicking why we believe certain things about the past is an enlightening and instructive process in itself. Thus, I can’t tell you how excited I am about Brian Cummings and Alexandra Walsham’s new research project ‘Remembering the Reformation‘. Great post. I particularly liked the way in which you presented what history should be about. But I don’t think any of that needs to discount the more ‘popular’ and commonplace thoughts people have about history. Rather, it needs to inform them. Spending a lot of time as I do in the company of family historians I am sometimes painfully aware of the issue and also of the willingness to learn more and better. The big question is how to bridge that gap between academic history practice and popular history practice, something that Raphael Samuel and later Hilda Kean tried to approach from their vantage point at Ruskin, and which still needs a mountain of work. Thanks very much, I’m really glad you enjoyed it the post. And I am absolutely in agreement with what you say. In one of the comments above I make the point that the ‘popular’ understanding of history cannot be blamed just on the school system, but also about our own failure to communicate the value of our discpline. Whilst ‘impact’ and ‘public engagement’ are now very firmly on the agenda, so much of that work seems to be more focused on content rather than methodology. As you say – so much still to be done. Excellent post!. Gets to the heart of critical, historical thinking. Thanks for taking the time to write and post this essay. My pleasure! And thanks very much for taking the time to read and comment – much appreciated. Is it pedantic to point out that you’ve got III twice? Whoops! Thanks for the heads up. The strange thing is that more than a thousand people have viewed the post, and you are the first to raise it. Great post. A great history teacher of mine at UCD, he late Denis Bethell, used to argue that history was a ‘natural occupation’ of mankind and that curiosity about the past, even about the remote past, was a basic human instinct – so the study of it was inherently valid: hence the biblical injunction (from the Book of Deuteronomy, 4:32), ‘ask now about former ages, long before your own’. But can I point out that Hartly wrote that ‘the past is a foreign country, they do things DIFFERENTLY there’. Thank you! Really glad you liked the piece. That’s a great memory too – it captures the ‘artistic’ as well as the ‘humanist’ elements of the craft. And thanks for spotting the typo, one to make me cringe! Great – many thanks for sharing my piece! A very thoughtful post and discussion – thank you. I particularly like the comment about the arrow and how history is not straight forward. As such, the Whiggish interpretation does often prove rather mundane or simplified – or simply wrong – at the best of times. It is just not that simple (in most cases, anyway)! Thanks Amy! And thanks for your comment. Yes – I recently read Penelope Corfield’s ‘Time and the Shape of History’ which is excellent on the ways that we envisage time and how it works – I recommend it! Thanks for the very stimulating and useful blog post. When I was in school/university all the subjects appeared quite different from one another. But once you abstract from the facts and the learning by rote the various disciplines are much closer together. I remember explaining once to a friend that what I learned from my economics in college was to ignore the accountancy type approach and concentrate on resources going in and outputs coming out and to try and see if the transformation was at its most efficient. The reply was to the effect that they were doing the same thing but in a completely different discipline. These days I am following up my own local and family histories and what you say in your post resonates mightily. I would add one thing: empathy. I’m sure we all have our prejudices and mine would have been republican (Irish) anti-imperial (British) and identifying the army and police (British) as forces of oppression, politically and militarily. But in following up my family history I found I had a raft of relatives in both the British Army and the RIC. As I could not betray these people I was forced into a serious re-evaluation of much of the history I had learned and of long and deeply held attitudes. I ended up at one stage wearing a poppy for my uncle who died on the Somme. That would have been anathema to me years earlier. I know what I have said above may be fairly superficial in the context of the broader case you are making, but it is all part of understanding and accepting the context of that foreign land, even when it hurts. Having spent the day yesterday hearing a whole range of people talk about ‘doing history’, your point also has a particular resonance for me today! At ‘Creative Histories’ we heard from authors of historical fiction, filmmakers, teachers, drama practitioners, multi-media artists and many more, and everyone spoke of the ways in which they sought to emotionally engage their audience with the past. Many of the techniques we discussed involved the participation of audiences, of the benefits of using unfamiliar history as a way to escape the burden of assumptions that people have when thinking about the present. That seems to me to speak to your own experience of recognising your own assumptions and re-evaluating them. It’s wonderful to think that history has the ability to assist in that process.